Port Lincoln High School is a regional school which provides a broad curriculum ranging from traditional academic subjects delivered face to face to vocational education pathways including aquaculture and commercial cookery. We pride ourselves on being an inclusive school where people from all walks of life irrespective of socio-economic, disability, religion, race or cultural background are provided with educational opportunities. We consider this diverse range of students as one of our strengths as diversity characterises the modern inclusive community Australia prides itself on. Our school has a rich history of academic success with many students going on to serve our state and local community with distinction. Our current program has a strong focus on academic pathways and our South Australian Certificate of Education (SACE) results continually see student Australian Tertiary Admission Rank (ATAR) scores in the high nineties. 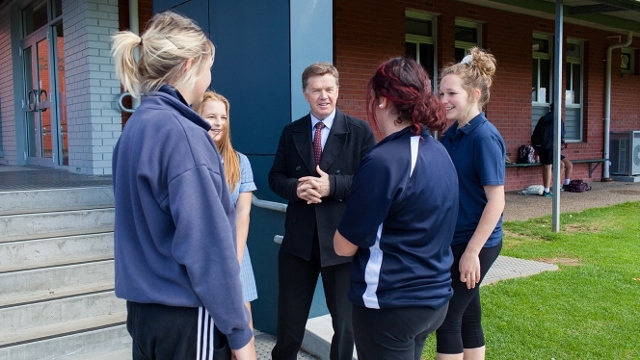 Alternatively, students can choose career pathways in trades or industry. Many of our ex-students are to be seen working in the community which augers well for the growth of the Port Lincoln district.